The Settlement boasts a wide range of facilities. 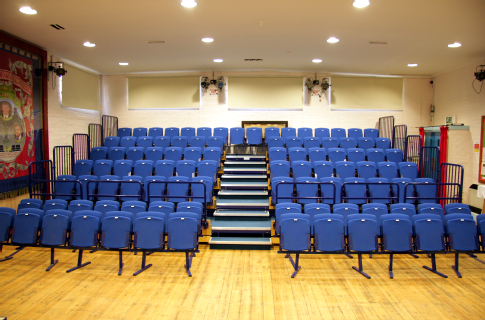 The spacious main hall contains retractable tiered seating for 100 people, providing an ideal view for theatrical/musical events, as well as conferences. Two dressing rooms with en-suite toilets provide comfortable changing areas for performers, and are also available for small meetings. There is a fully fitted kitchen with service hatch, and crockey for 60 people included in the hire of this section. And for outdoor events, the Theatre building has a pleasant community garden. In addition to the main building, their is also an annex building adjacent to the car-park, which provides ideal space for group meetings, and with its well lit interior is also suited to hosting exhibitions. Tea making facilities are available in this building. Equipment available ranges from the Microphones and Public Address system, to the Stage Lighting. The building, including the annex, also has Wi-Fi. 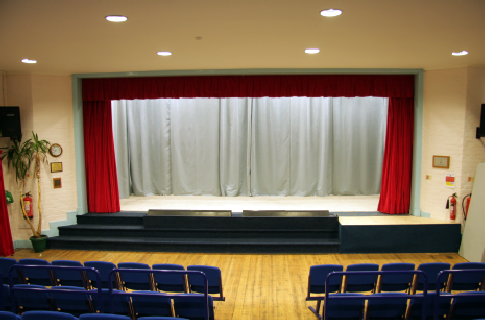 Disabled facilities are included, with Loop Audio, Stage Lift, and Toilet all available.